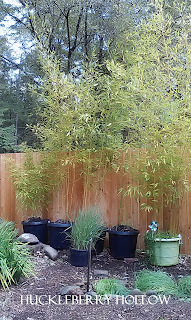 My bamboo are reaching 12 feet tall this year, but were in need of transplanting. I did some research and found that I could easily pull them out, cut them in half and put them in new pots. I purchased nursery pots for the affordability and durability. These are sturdy pots! I think they must be made of tire rubber as that's what they smell like. 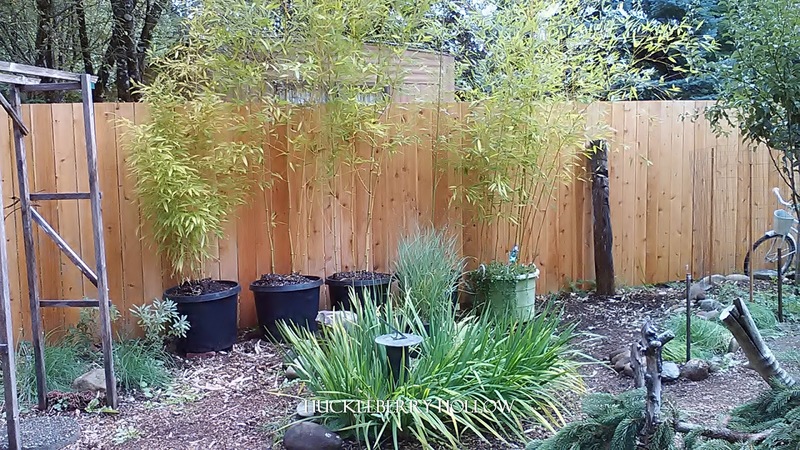 I had help on this project as it takes two people to manhandle them out of their pots, then between the chainsaw and handsaw we were able to cut them in half. This is no easy task! 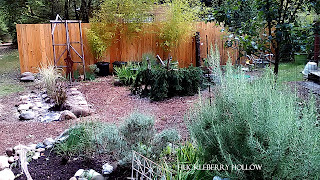 We only got to two of them, ending up with four nice new plants, spread out along the new cedar fence really adds to the privacy. Next year we'll tackle the other two. 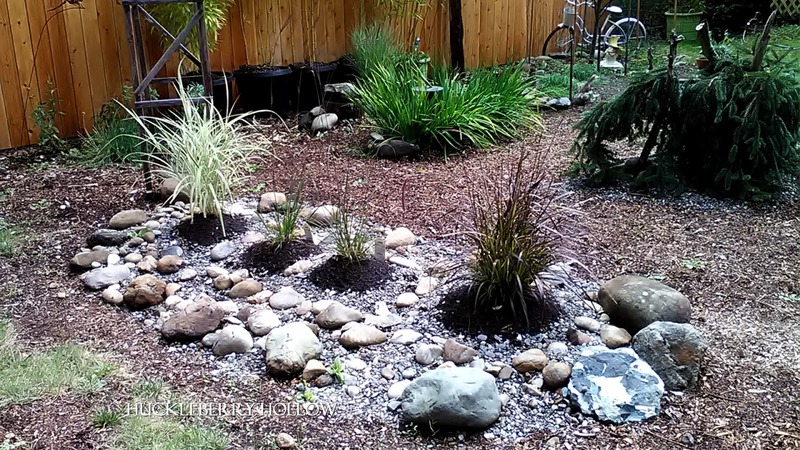 Along with the new layout of the front yard came much contemplation on how to landscape it. There are several large plants that can't be moved, but everything else was flexible. 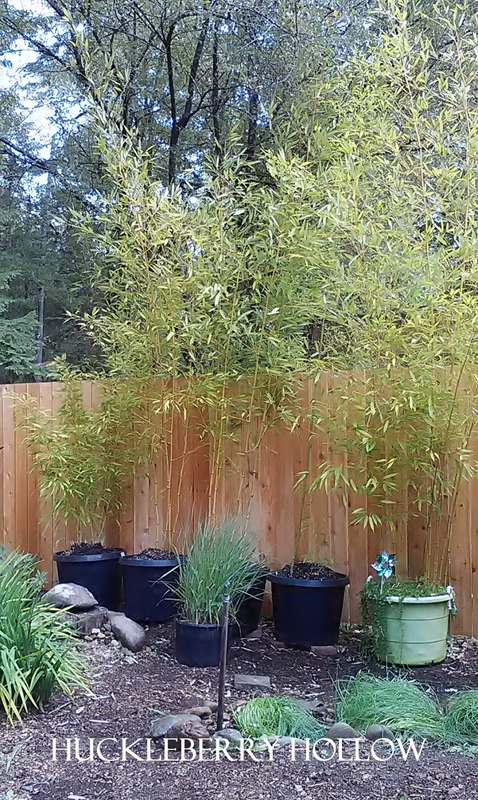 So for this year I decided to create beds around the larger plants. The spaces left were ripe for new ideas. 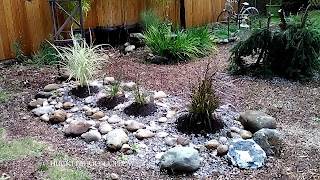 I created an ornamental grass bed with rocks from the beach. These lovely grasses will spread out and grow tall, creating a privacy screen along the driveway. So the view from the house is thus, so far this year.